Frozen or chilled and (non) palletized cargo. Wrapping, sorting (by size, spec, brand), labelling etc. We have established a pattern of excellent work and a reputation for integrity over several years. 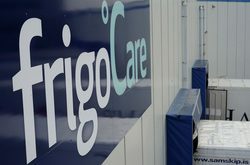 frigoCare is the cold storage expert for your frozen foodstuffs. With the highest quality systems in place, you will get the best possible service, supported with a traceable logistics chain. Trucking and sea freight to and from cold store to any destination in the world also is within our scope of activities. 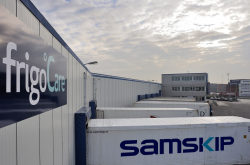 We offer cold storage and related services in Rotterdam, the Netherlands and in Aalesund, Norway.. Along with a specialization in containerized temperature controlled foodstuffs, we can assist with container reception, border inspection, sorting, palletizing, (re)packing and (un)loading of various delicate cargo, mostly seafood, under EU-license. 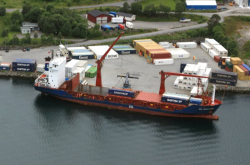 frigoCare Aalesund proud to introduce new online brochure. The new brochure has been designed to provide a quick overview on who we are and what services we offer to our clients. http://www.visbrosjyre.no/frigocareaalesund/WebView/ Take a look and do not hesitate to contact us for a quote!